In the mid-1970s, so-called citizens' initiatives began to organise protests at nuclear plants. Their symbol, a laughing sun with the sloganAtomkraft? Nein Danke ("Nuclear power? No thanks! "), appeared on stickers and T-shirts everywhere. Anti-nuclear protest was suddenly cool. More than 5,000 Scottish jobs could be created if three proposed carbon capture and storage (CCS) schemes go ahead, according to a new study. Scottish Enterprise has looked at the potential economic impact of CCS projects at Longannet, Peterhead and Hunterston. The research also suggests CCS developments could boost Scotland's economy by more than£3bn. The findings are being presented at an energy conference in Aberdeen. CCS is a process involving the capture of CO2 (carbon dioxide) from power plants and other industrial sources for safe storage in sites such as depleted oil and gas fields. The proposed CCS facilities at Longannet in Fife, Peterhead in Aberdeenshire and Hunterston in Ayrshire, if fully developed, would test and demonstrate the technical and commercial aspects of CCS technology. The Scottish Enterprise study found that up to 4,600 jobs could be created during the construction phase of the projects to 2020, with a further 454 operational jobs supported when the sites were up and running. Another key finding of the research, published at the All Energy conference, was that the CCS projects could boost the Scottish economy by £2.75bn, generating an additional £535m per year during their operational lifetime. Hunterston would benefit most from jobs during construction, as the project is linked to a controversial plan to build a new coal-burning power station. However, it would be worth less than half of the £270m annual economic value of Longannet. Adrian Gillespie, from Scottish Enterprise, said: "CCS is acknowledged as having an important role to play in supporting Scotland's ambitious emission reduction targets, however, to become commercially viable, demonstration projects such as the three proposed Scottish projects are critical. "The far-reaching impacts revealed in this study underline the potential of carbon capture and storage, not only in long term economic and environmental terms but also in the shorter term, delivering significant immediate benefits for the Scottish economy." He added: "We want to see a number of CCS demonstration projects developed in Scotland and are working with our partners in industry, in the UK Government and in Europe to help make that happen." Scotland is recognised as having a competitive advantage in CCS and the potential to become a global leader in the field. It has been estimated, in separate research, that CCS could support up to 13,000 new jobs by 2025, including exporting Scottish-based skills and technology across the world. The three Scottish based demonstration projects are still all in the running to secure EU funding from the New Entrants' Reserve programme, which has been developed to support low carbon demonstration projects across Europe. Crispin Murray, head of equities with BT Investment Management, said the nation's $35 billion investment will skyrocket to $70 billion as liquefied natural gas exports ramp up to China and to other emerging markets. He described it as "a unique period". "It's a huge uplift," Mr Murray said following an investor breakfast in Brisbane. "You want to strike while the opportunity is there. The world needs new sources of energy." Queensland would be a "big beneficiary" of the boom as work continued to remove export bottlenecks, such as the port expansion in Gladstone. The flow-on effects will cascade through numerous industries contracting for parts of the work, including engineering firms, service and maintenance companies and logistics operators, he said. For investors, key opportunities will be found in companies surfing the wave propelling China, India, Brazil and other emerging economies. New energies such as LNG will also offer huge upside potential. "We're comfortable that China can keep growing," Mr Murray said. He pointed to China's social housing program which has envisaged construction of a staggering 35 million new apartments over the next five years. Even if that target is unattainable, he said the nation's insatiable hunger for coking coal and iron ore will remain unchanged. India also offered investors vast possibilities and was "an important source of growth", Mr Murray said. He likened the country to where China was 10 years ago, although not as resource intensive and held back by infrastructure limitations. While India benefited from being the world's largest democracy, he said protracted tendering made it harder to carry out projects than in a one-party state such as China. Much like the "two speed economy" at play in Australia, Mr Murray said there was a similar dynamic in the world economy pitting emerging nations against the more developed old guard. Events such as Europe's debt woes, the US housing market slump and Japan's devastation from earthquakes and tsunami are having a greater impact on equities because of globalisation, he said. These calamities have created uncertainty and "extra volatility", deterring more people from investing. But at the same time, they have created opportunities since some equities are undervalued, Mr Murray said. LONDON -(MarketWatch)- Japan's imports of liquefied natural gas surged 23% in April compared with the same month in 2010, after the March earthquake and tsunami shut down several of the country's nuclear reactors, according to data published late Monday by ship tracking service Waterborne. Analysts said this elevated demand will continue this year and next, absorbing all of the surplus LNG supply that consumers had hoped would keep down prices in the other big LNG market--Europe. "While a year ago some market commentators talked of the global glut of LNG, we believe the focus for investors should be on the impending global LNG shortage," Bernstein Research said in a note to clients. The surge in Japanese LNG demand was "driven primarily by the shutdown of a significant amount of Japan's nuclear generating capacity," the report from Waterborne said. To replace the lost nuclear energy, Japan had little choice but to turn to oil- or natural gas-burning power plants fuelled by seaborne imports. Japan imported 6.65 million metric tons of LNG in April, an increase of 1.247 million tons on April 2010, Waterborne said. Most of the extra supply came from Russia and Qatar, Waterborne said in a report. "Based on recent announcements from the Japanese government to shut down a number of nuclear plants that could be at risk for a major earthquake or tsunami, Waterborne projects that LNG imports to Japan are likely to continue to rise in 2011," the report said. This means Japan is likely to absorb all of the world's surplus LNG supply this year, analysts at Barclays Capital said in a report. In 2012, LNG demand growth may exceed that of supply, leading to even tighter markets, it said. North America is unlikely to be affected by this, because thanks to the boom in shale gas production it doesn't need to import LNG, Barclays said. However, Europe will probably see LNG imports drop later this year, it said. This will be a dramatic reversal because Europe had been the chief beneficiary of abundant LNG supplies for the last couple of years, notably from the world's largest LNG producer, Qatar. 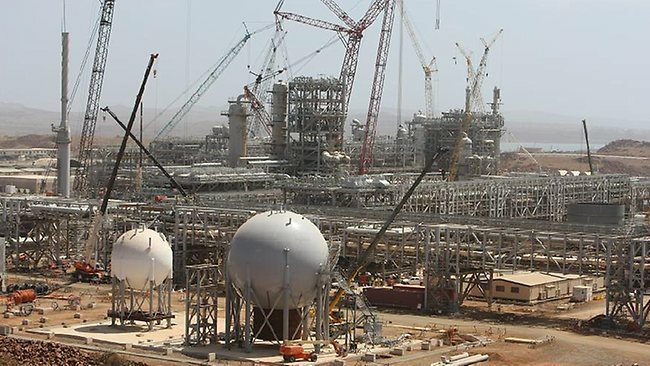 Now Qatar is promising extra LNG supplies to Japan, drawing supply away from Europe, said Robert Johnston, director of Energy and Natural Resources at Eurasia Group. "This diversion could tighten up U.K. markets this summer as the incremental Qatari cargoes heading to Japan probably would have otherwise ended up in the U.K. market," he said. The U.K.'s largest gas supplier, Centrica PLC (CNA.LN), has already warned that prices are rising, "in the wake of the natural disaster and subsequent nuclear issues in Japan and unrest in North Africa and the Middle East." "In the U.K., the forward wholesale prices of gas and power for delivery in winter 2011-2012 are currently around 25% higher than prices last winter," the company said earlier this month. Higher U.K. prices will also have a knock-on effect in Europe. "The U.K.'s LNG import terminals have acted as a gateway for gas to reach Continental markets," Barclays said. Barclays expects the U.K. benchmark gas price, the National Balance Point, to rise 38% in 2011 compared with 2010, and increase by another 17% in 2012. The NBP is closely correlated to the main European gas benchmarks in the Netherlands and Belgium.